An airborne Boeing 747 is headed to London when passengers mysteriously disappear from their seats. For those left behind, the apocalypse has just begun. A novel of the Earth’s last days. In one cataclysmic moment, millions around the globe disappear. Vehicles, suddenly unmanned, careen out of control. People are terror stricken as loved ones vanish before their eyes. In the midst of global chaos, airline captain Rayford Steele must search for his family, for answers, for truth. As devastating as the disappearances have been, the darkest days may lie ahead. 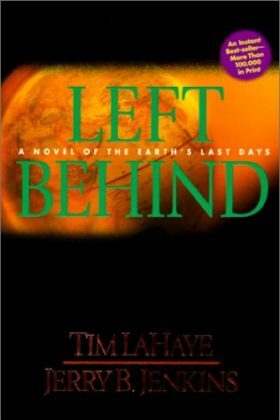 Book 1 of the Left Behind series.